It's that time of year again... it's election season! Are you curious about your neighborhood association -- who they are, what they do, and why? Join us on Thursday, October 18th for our annual election of the board. It's a great time to check us out and see what we're all about. 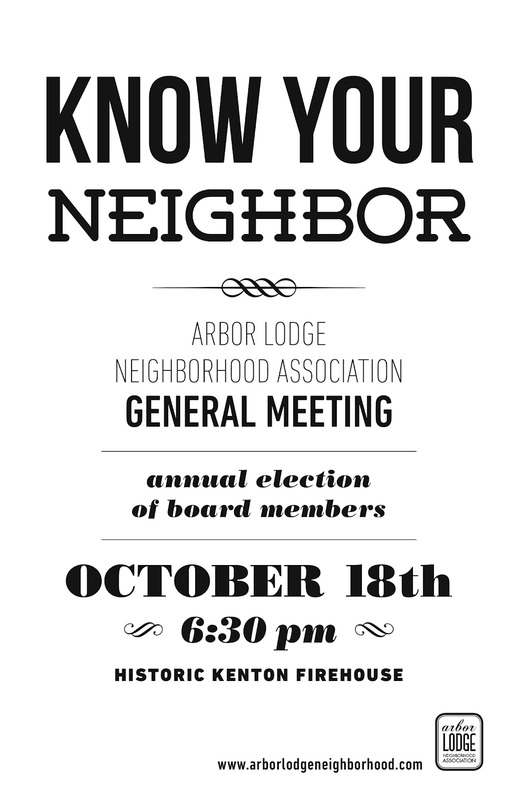 If you live in the Arbor Lodge Neighborhood you can cast your vote at the meeting.